Vol 7 Control of Infection First Ratified Apr. 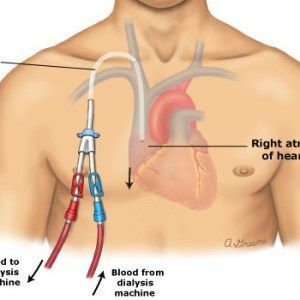 07 Reviewed August 2015 Issue 3 Page 1 of 13 CENTRAL VENOUS CATHETER (CVC) CARE POLICY FOR ADULTS... The GOSH CVL care bundle (PDF), adapted from the Department of Health's 'Clean Safe Care - Reducing Healthcare Acquired Infections' High Impact Intervention - Central Venous Catheter Care , should be adhered to when accessing CVADs. 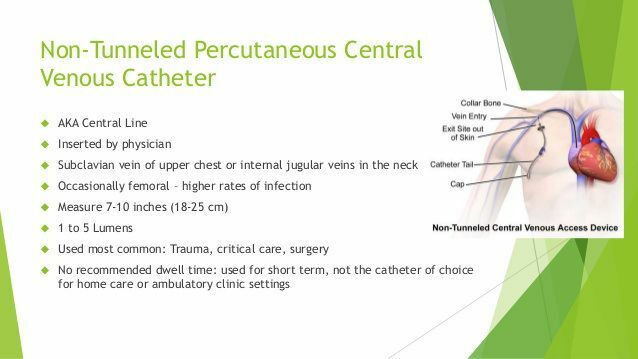 Non tunnelled central venous catheter (CVC). 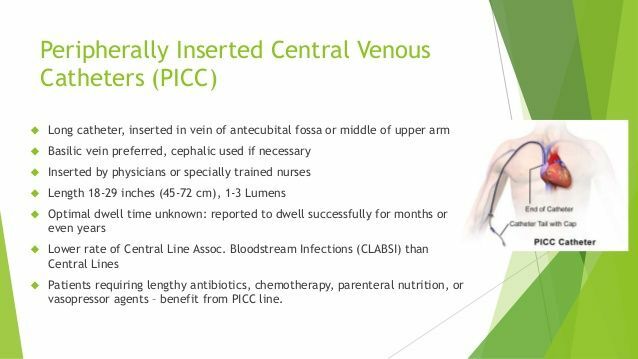 Inserted into the internal jugular, subclavian or femoral vein. (EXTERNAL JUGULAR- NOT RECOMMENDED IN CHILDREN) Most commonly used in acute and critical care settings.